Following on from our earlier ‘6 essential hair care tips’ post, we’re back with more hair-related advice, this time focusing on styling. Even if you’re aiming for the natural look, the likelihood is you’ve styled your hair to within an inch of its life in order to achieve it. Styling might be good for your confidence but it’s bad for your hair. Brushing, drying, straightening, curling and general over-pruning causes no end of damage. But, with due care, you can still get creative with styling your hair at the same time as protecting it. Referring back to our previous advice, repair damaged, dull and frail hair with intensive rescue treatments. Browse the hair aisle at your local supermarket or ask your hairdresser for product recommendations. Treat dry hair just as you would a delicate plant. Give it plenty of nourishment. By replenishing hair-conditioning lipids, it’ll flourish. 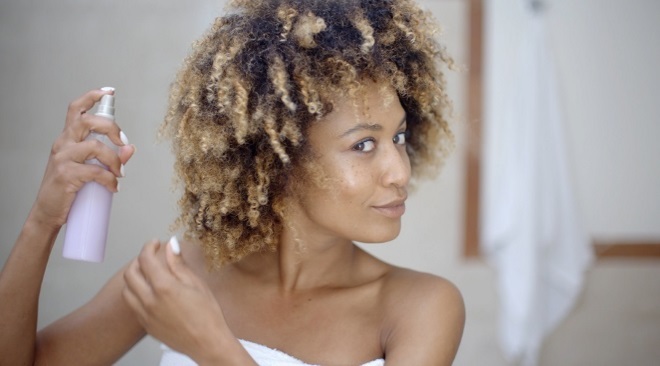 Use conditioner after shampoo and consider other products such as hair oils and deep conditioning masks. Again, shop around and ask your hairdresser for the best solutions. Before using your hairdryer, straighteners or curling tongs, spray on some heat protection. These are widely available from chemists and supermarkets. Plus, use a low heat setting and avoid over-application of heat on any particular section of your hair. Brushing your hair when it’s wet can cause breakages and frayed ends, so enlist a wide-tooth comb at this stage instead. It’ll detangle your hair without snagging. 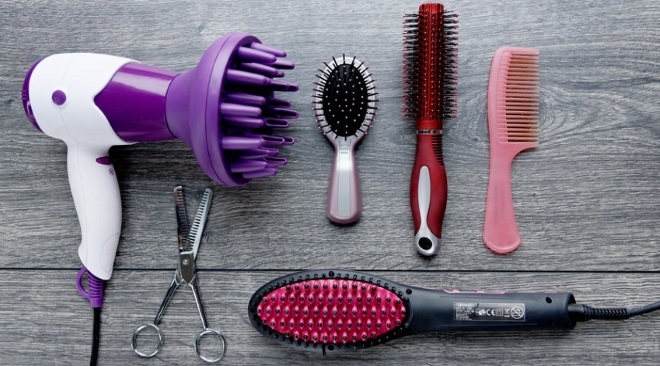 Only use fine-tooth combs and brushes on dry hair. And make sure you buy the correct bristle type for your hair. If you’re out in the sun, wind or other hair-damaging weather, protect your hair by tying in a bun, chignon, braid, plait or other knot. Aim for a loose style, don’t over-brush and use products that are gentler to your hair. Elastic bands are a definite no-no! Where your hair’s concerned, it’s the little things that count the most. Not only should you follow these tips, your hairdresser should too. Be mindful of how your hairdresser’s styling your hair because if damage is caused, you may have a hair claim on your hands. Our team of expert hair lawyers are happy to discuss any potential claim on a no-obligation basis. Get in touch via the usual methods. Call 0800 141 3682 or email enquiries@hairdressingclaims.co.uk. For the most part, after a visit to the hairdresser, you step out of the salon feeling great, looking amazing, smiling and flaunting your newly styled hair. Occasionally, you’re less happy because you haven’t quite got what you asked for. If this happens, you’re within your rights to complain, refuse to pay and come to a mutual decision about how best to rectify the situation. Absolute worst case scenario, you suffer injury or damage following negligence or accident at the hairdresser’s. In these instances, you have a legitimate hair damage claim and should secure legal representation in order to seek compensation. Chemicals are part of many hair treatments, for example hair dyeing, bleaching, perming and straightening. It’s a stylist’s job to know how long certain products can be left on your hair as well as recognising that clients are different and some may be allergic to particular chemicals. Patch and strand testing should always be performed around 48 hours before any treatment to check for adverse reactions. Where no testing’s been carried out, burns, blistering and other irritations such as dermatitis can occur on the scalp. 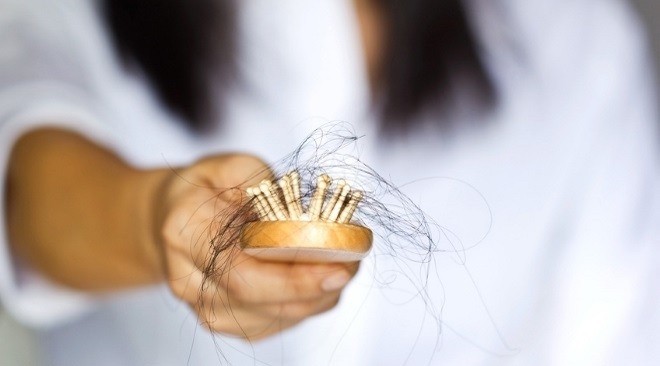 Hair loss is another common outcome. Also, some types of hair are simply not suitable for certain treatments. Eligibility can be ascertained by a straightforward visual and elasticity check without the need for pre-testing at all. For example, hair that’s been recently treated or is in bad condition. Hair styling tools – that’s hairdryers, curling tongs and hot irons – emit high temperatures that cause grave harm if used incorrectly. Hair should have an extra barrier applied such as heat protection spray and appliances should not be used for too long on sections of hair. Burned or brittle hair will break easily and fall out. Also, equipment should never come into direct contact with the skin otherwise burning and blistering will ensue. Hairdressers should be trained in how to cut and shave hair in the right way but that doesn’t mean they don’t make mistakes every now and then. 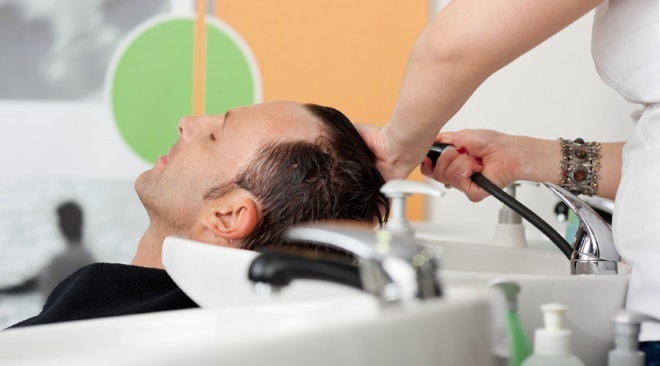 A slight lapse in concentration or misjudgement can result in a cut to your neck, ear or face by scissors or other styling implements such as razors and shavers. A cut’s bad enough but if it subsequently becomes infected, you’re going to be in a lot of pain. An unnoticed spillage or un-swept pile of hair is a potential trip hazard. Although salons have a duty to provide a clean and safe environment, a busy business with back-to-back appointments can quickly become neglectful because there’s scant time for cleaning up between clients’ appointments. Fall injuries include bruises, sprains, ligament tears and broken bones. Vertebrobasilar insufficiency, otherwise known as ‘beauty parlour syndrome’, is caused by inadequate neck support and hyperextended backwards neck positioning over the basin during washing. An artery can be torn or compressed leading to blood clots. Symptoms include severe dizziness, loss of balance and facial numbness. In extreme cases, strokes. Speak to our team in confidence about your hair claim case. Call 0800 141 3682 or email enquiries@hairdressingclaims.co.uk. Your hair’s your crowning glory so it’s worth investing time (and perhaps a little money) into really looking after it day-to-day. With the right care and attention, you’ll have luscious locks to be proud of. Not only that, by strengthening your hair, you’re able to withstand styling treatments and limit potential damage at the hairdresser’s. Not a hair care tip as such, but maintaining a balanced diet, including eating Omega 3 acid-rich foods like oily fish, has a huge impact on your hair’s health such as promoting growth and reducing brittleness. 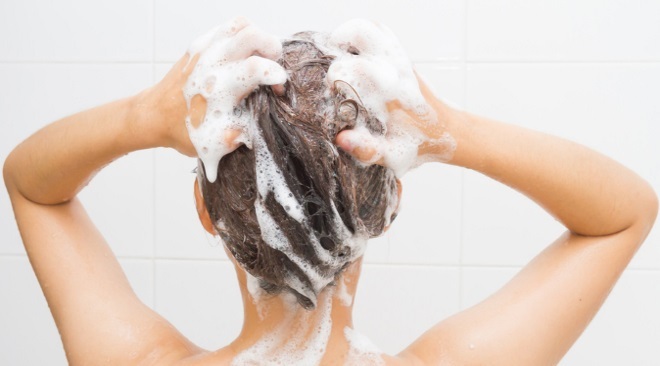 Rinse hair thoroughly with water before shampooing so that it lathers better and spreads easily. Pay as much attention to the roots as you do to the tips in order to get rid of all the dirt your hair’s gathered during the course of the day. Use conditioner to hydrate your hair. Unlike shampooing, concentrate your efforts on the mid-to-end sections of hair which are more prone to dryness. Avoid the scalp as this can make your roots appear greasy. Rigorous rubbing with a towel and applying intense heat with a hairdryer is bad news for your hair. Instead, use a towel to gently pat the moisture out and thereafter leave your hair to dry naturally. If your hair’s lost its lustre, it’s time for heavy duty action in the form of pre-wash products, dedicated rescue shampoo and conditioner, and occasional hair mask treatments. You’ll soon be able to say goodbye to those split ends. The summer will be here before you know it. Heat wreaks havoc on your hair’s moisture, texture, colour and strength. Leave-in conditioners containing UV filters and sunhats are the way to go on your summer jaunts. You may think your hair’s tough and can withstand anything you (or your hairdresser) do to it, but it’s actually pretty delicate. Remember, if you do have a negative experience at the hairdresser’s, you don’t have to suffer in silence. With our close trichologist partnerships, we can fully assess the extent of damage and advise on the right course of action. A philanthropic hairdressing salon in Palma made headline news last month with this story about its extreme hair makeover of a 55-year-old homeless man called Jose Antonio. La Salvajeria salon in the Majorcan capital performed the dramatic transformation back in 2015 but it’s released the video of Jose’s reaction to his new look for the first time this March to mark its third birthday. After living on the streets for 25 years, unlicensed car park attendant Jose had unkempt long grey hair and straggly grey beard. The salon’s hairdressers cut his hair, trimmed his beard and dyed both black, leaving Jose unrecognisable to local residents and, even, himself. The accompanying video’s gone viral, having received 2.1 million views and appearing on TV worldwide. Go to La Salvajeria’s Facebook page to read more and watch Jose’s video. These details are courtesy of the National Hairdressers’ Federation, Simon Jersey and Habia amongst others. Consumer trends in hairdressing show that we’re undergoing hair treatments more frequently than ever before. The unregulated nature of hairdressing is a warning to be mindful about the procedures we embark upon with our hairdressers. Insist on patch or strand tests, ask about risks and know your rights should things go wrong. Our knowledgeable solicitors have successfully represented a multitude of hairdressing claim types to win compensation on our clients’ behalf. Do get in touch with your queries and to instruct our expertise. Hairdressing claims continue to make headline news. Delving back a little further in time, one of the worst instances of hairdresser-instigated injury in recent months, which resulted in £90,000 being awarded in damages, is this ‘beauty parlour syndrome’ case. To give you a synopsis: Dave Tyler had his hair washed and styled at a hairdresser’s in Brighton; unbeknown to him, he suffered a blood clot while sat with his head bent backwards over the basin having his hair washed; two days later, he collapsed when the blood clot burst and caused a stroke; he subsequently spent three months in hospital recovering; eventually, he came home in a wheelchair and underwent a course of physiotherapy to resume walking with the aid of a stick; he now lives a restricted lifestyle with many of his former pleasures – such as driving, long country walks and dinghy sailing – a thing of the past. Mr Tyler’s severe injuries could have been avoided if he’d simply been given adequate neck protection when using the basin. This tragic story should demonstrate to hairdressers the importance of understanding the dangers of basin usage, teaching trainee hairdressers about these risks as these are often the people performing the washing procedure, warning customers of potential side effects of treatments and protecting them as fully as possible from harm. To hair customers, it’s a reminder to be on your guard when visiting salons and a prompt to seek compensation when you’ve suffered at the hands of a hairdresser. Access the original article on the Daily Mail’s website. Get in touch with our expert hair lawyers to find out if you’re eligible for compensation and how to kick start your claim.